The Motor Circuit is where all the racing takes place, but cross the bridge - literally - Over the Road and you can enjoy all manner festivities, including a Fairground, Butlins Roller Rink, Revival Car Show presented by Smith & Williamson and the Revival Cinema presented by Sky Cinema. The Revival Car Show presented by Smith & Williamson is a field of thousands of classic cars Over the Road. Anyone can book their classic vehicle into this car park but hurry as this car park will sell out. The Revival High Street is like no other. A celebration of style and history. The entry list for the Goodwood Revival is like a who's who of historic motorsport, with many other famous classic car enthusiasts getting involved too. 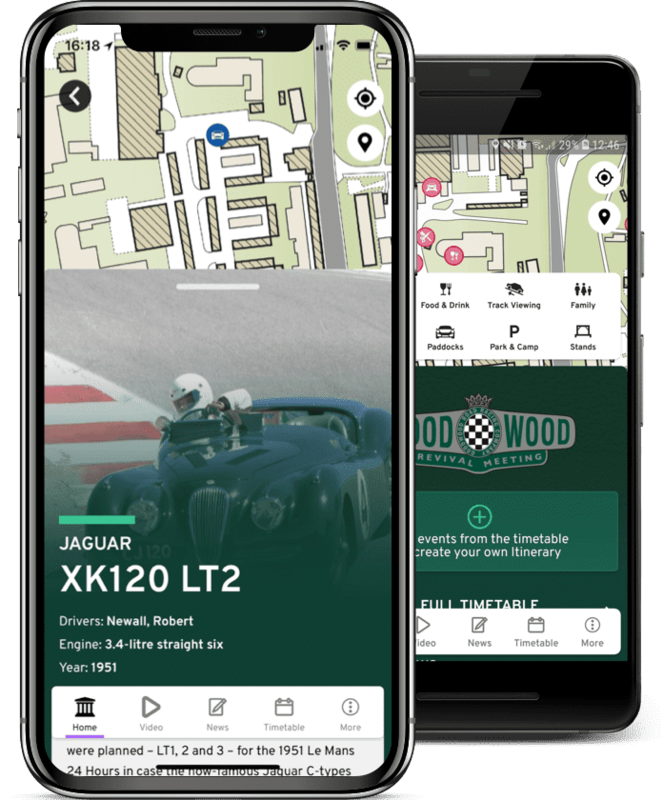 A celebration of design and motoring heritage in which an area is set-dressed to recreate an iconic moment or place. Dust off the trilby or perfect those victory rolls, embracing the opportunity to get dressed up in clothes of a bygone era and watch our perfectly curated daily fashion shows and Best Dressed Competition. Each year a collection of rare and valuable classic cars go under the hammer at the Bonhams Sale. Find your way around the Motor Circuit, as it used to be. It remains unchanged since its heyday, making the Revival a truly unique step back in time.